There are many reasons why we’re often drawn to white interiors. White is the colour we associate most with cleanliness, neatness, and order. A predominately white room can have a pure, uncluttered beauty that other colour schemes can’t replicate. In many ways, white also seems like an easy option: the issue of colour co-ordination disappears, and choosing furniture suddenly becomes a lot simpler. But there are also potential hazards involved in opting for white decor: there’s a risk your room can end up looking cold and clinical, or (perhaps even worse) just boring and unimaginative. 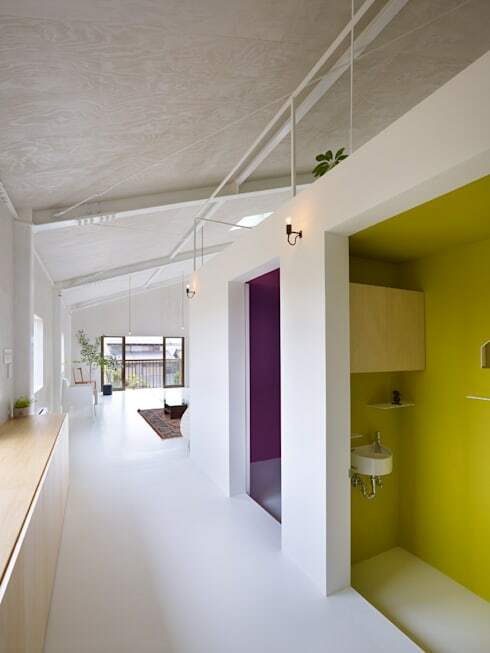 There are, however, lots of ways to have fun and exercise your creativity with white, minimalist design. The designers of the rooms below have done just that, resulting in beautiful and inspiring spaces. So your dining room looks pretty great, but how does it feel? 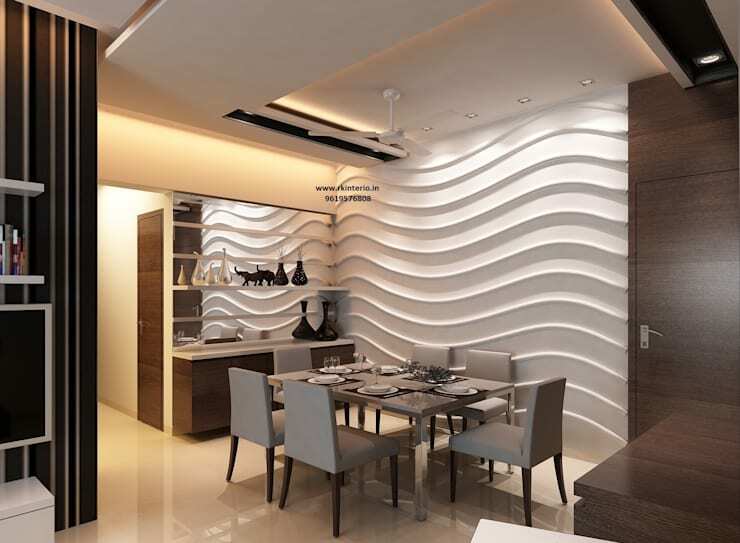 The textured wall seen here offers an original, playful and very tactile means of mixing up an otherwise sedate room. 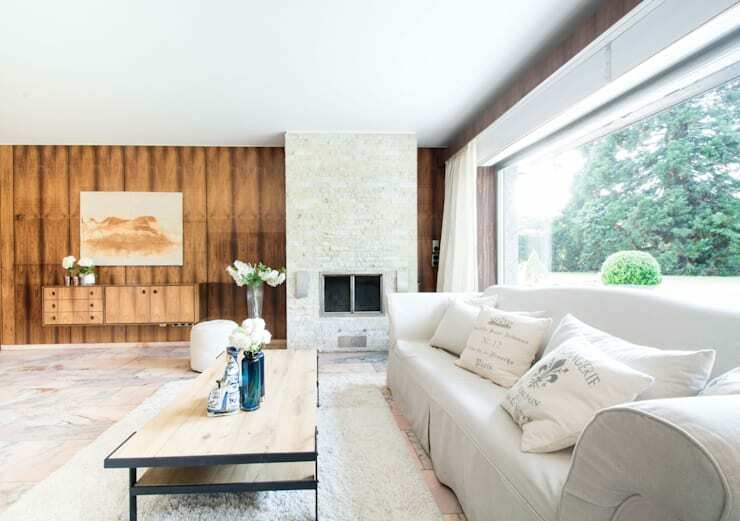 The decision to steer clear of bright, pure white in favour of off-whites, light greys and eggshell hues also helps prevent this room from sliding into tackiness (vibrant white can sometimes seem a little brash, particularly where upholstered furniture is concerned). The muted colour scheme this designer has opted for is ideal for a dining room, and would lend itself perfectly to candlelit evening meals. Break up the monotony of an all-white colour scheme by adding colour in selected places. You can paint the inside of built-in bookshelves, or even entire rooms, as demonstrated in this picture. Strong colours work best for this, of course, as they create a wonderful contrast. You can also try painting just the inside of your door frames in a statement colour for a more subtle, but somehow even more striking effect. Choosing different colours for each door frame in the room can work especially well. For the greatest impact, try mixing clashing colours chosen from opposing sides of the colour wheel; for example, purple and yellow as in this room, orange and turquoise or pink and green. Seen from another angle, the same space we just explored reveals even more of its character. It’s clear that this room is veering towards minimalism, but the inclusion of a couple of more traditional elements directs it back towards a more homely feel. The bare light bulbs and structured geometry of the ceiling and staircase are offset by the vintage Turkish carpet and potted plant, adding a warm, eclectic charm to this simple space. It’s worth noting how brilliantly a high ceiling complements a light-coloured interior by bringing a sense of yet more light and space. This room’s single wooden wall works because the rest of the room is so light in colour; to have multiple walls like this would be dark and gloomy, but the contrast works well. The result is a relaxed, country-style living room that appears as cosy as it is bright. Again, if another colour apart from white was used as the dominant one here, the effect of the dark wood could be too overbearing, but as it is it’s just right (or just white?). If you’re fortunate enough to have a very light room in your home, liberal use of white will enhance the airiness of the space even further. 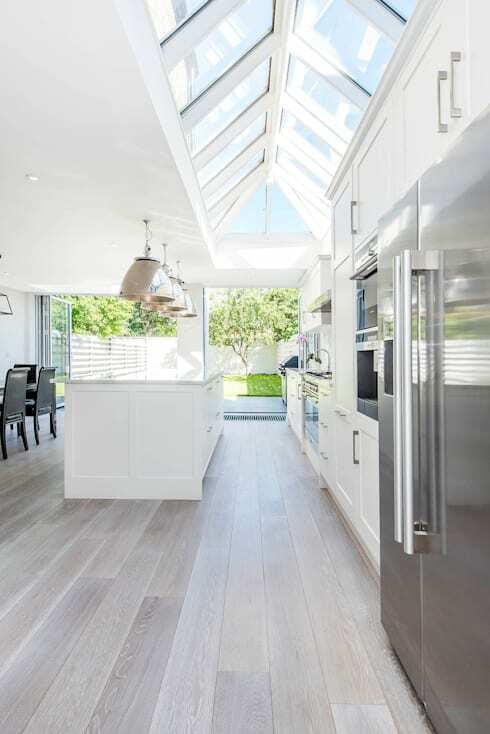 Look at this amazing kitchen with its unusual and fabulous skylight, which ensures the room will be flooded with sunlight throughout the day. To paint this room any other colour but white would be a terrible waste of an opportunity to really capitalise on its rare brightness. 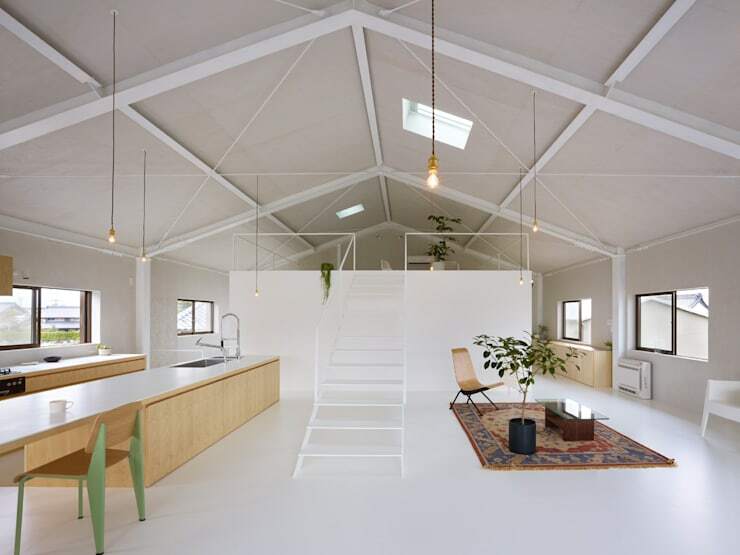 For some more all-white inspiration, have a look at these living spaces. How do you feel about minimalist design? Do you have a minimalist home? Tell us!